Elizabeth Arden Green Tea Bamboo is extremely fresh and seductive. 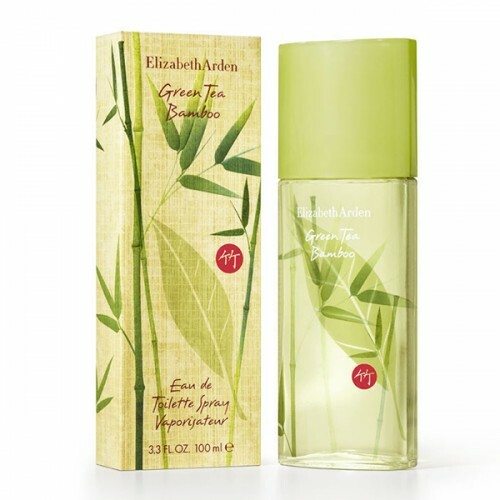 Elizabeth Arden Green Tea Bamboo 100ml. Eau De Toilette is extremely fresh and seductive. This unique refreshing cocktail will surprise you with a very varied composition mutually contrasting components. Refined aroma fragrance Green Tea Bamboo is ideal for summer days when you perfectly complement both while walking in town, as well as at work or on vacation at sea. Home fragrance Elizabeth Arden Green Tea Bamboo first opened forceful chords of grapefruit, lemon and bergamot. This exciting beginning of a more complete and compelling Galbani exotic bamboo. Heart fragrance will ensure a pleasant refreshment in the form of chilled green tea and fresh cool cucumber. Sensuous atmosphere created graceful tones of violet and lilac intoxicating. The base scent you can find unique ingredients such as mate, mastic or orris. The appeal of the perfume is enhanced by precious musk and captivating tones of wood. Ladies fragrance Elizabeth Arden Green Tea Bamboo is designed to be with her at all times feel fresh, attractive and elegant. The scent is perfect for the modern woman who loves nature. Perfume Green Tea Bamboo is hiding in a charming bottle with motifs of green tea leaves and bamboo. Fragrance was launched in 2014. Easy, clear and unobtrusive - so you can describe the fragrance Elizabeth Arden Green Tea Bamboo. Perfume, was released in 2014, it is an updated version of the legendary Elizabeth Arden Green Tea 1999. Clean, like a drop of morning dew, Green Tea Bamboo by Elizabeth Arden envelops a woman weightless fragrant plume of joy, peace and quiet relaxation. The initial shimmering perfume play notes of fresh bergamot and bamboo, bright green galbanum, spicy, fragrant grapefruit and lemon. "Heart" fragrance reveals unusual summer mix of green tea and cucumber harmonizes well with notes of lilac and violet leaves. In the final chord sounded alluring musk and woody notes, perfectly combined with yerba mate tea, iris and mastic. Elizabeth the Arden the Green the Tea the Bamboo gives soft and cool summer. After winning one woman's heart, this perfume does not get bored ever.